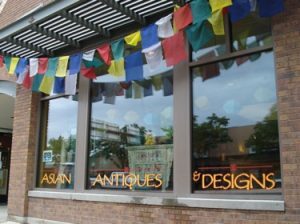 Asian Antiques is located on the Western Slope of Colorado in the town of Montrose. We are about one hour south of Grand Junction, or 1.5 hours north of Telluride, Colorado. Private showings of the warehouse are available only by appointment. If you have questions or would like to place an order, feel free to use the contract form below, give us a call, or send an email to: Jane@asianantiques-art.com. Please indicate stock number, item description and shipping address with zip code when ordering. We will confirm your order after we obtain a precise shipping quote.